National Assembly Chairwoman Nguyen Thi Kim Ngan’s attendance at the 140th Assembly of the Inter-Parliamentary Union (IPU-140) and her visits to the European Parliament (EP), Morocco and France from March 28 to April 8 have enhanced the friendship and cooperation between Vietnam and parliaments in the world. She made the statement while addressing the plenary session of the 140th Assembly of the Inter-Parliamentary Union (IPU-140) on April 7. 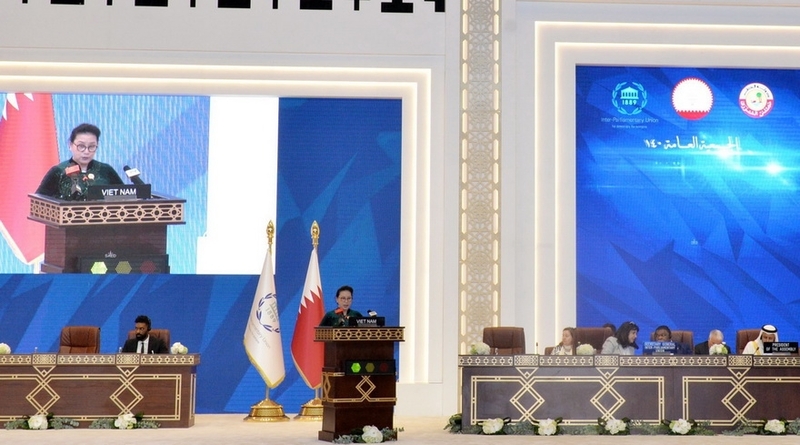 The event opened in Doha, Qatar, on April 6, taking in the theme “Parliaments as platforms to enhance education for peace, security and the rule of law”. 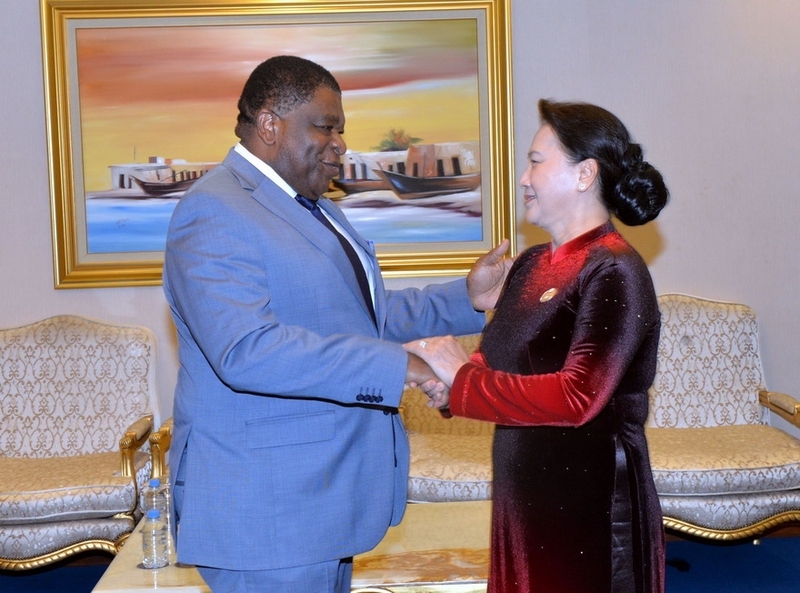 She has a meeting with Speaker of the Parliament of Sri Lanka Karu Jayasuriya on the sidelines of IPU-140. 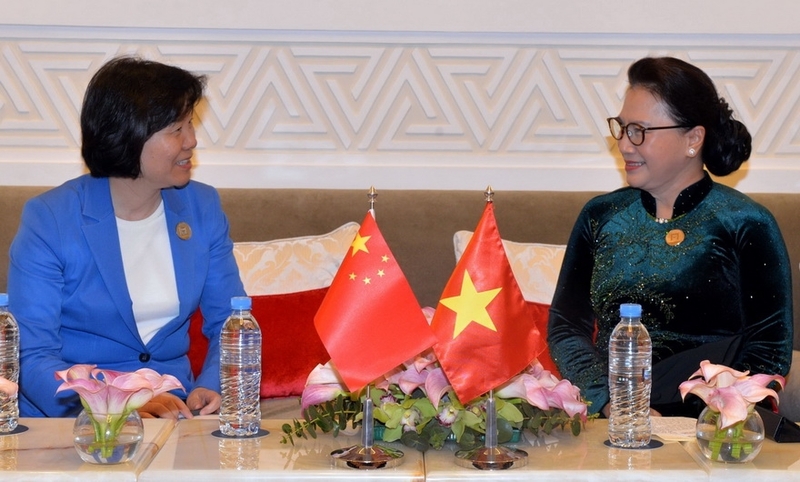 She also said Vietnam always gives priority to sustainable development, highlights education as its prime national policy to help raise intellectual standard, and generate high-quality human resources to meet requirements of Industry 4.0. According to a World Bank report in 2018, the East Asia and Pacific region has seven of the top ten performing education systems in the world, with schools in Vietnam showing significant progress. The country has reported impressive development in its education system with its comprehensive reform; suitable and effective policies, and investment related to education. 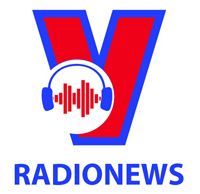 The National Assembly of Vietnam has adopted and revised many legal documents, including the Constitution, the Law on Higher Education, and the Law on Vocational Education, and increased its oversight to raise the education quality in Vietnam, the top legislator said. She suggested the international community continue to strengthen the peaceful and stable environment for sustainable development and focus on providing comprehensive education for everyone with the aim of preventing the seeds of conflicts and promoting international legal framework for education cooperation, boosting vocational training to improve the quality of labor for economic development. She said the countries should work to ensure access to education by all people, along with promoting the role of parliaments and parliamentarians, providing a complete legal framework, building a state ruled by law, and supervising the execution and approval of budgets for education reform programs. 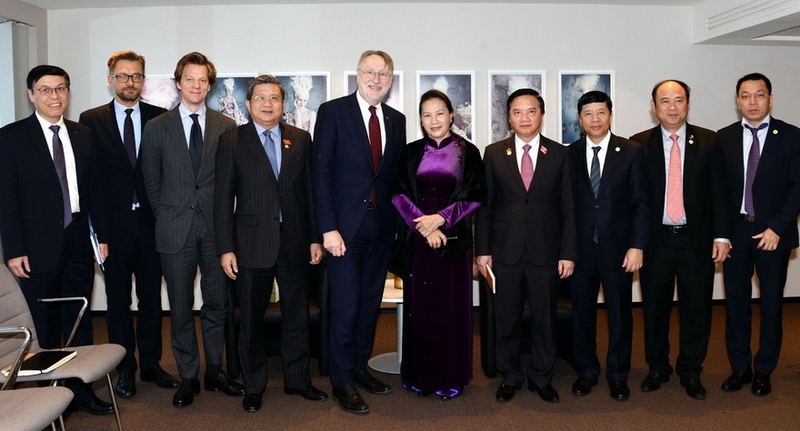 During her working trip to the EP, made at the invitation of EP President Antonio Tajani, the Vietnamese top legislator discussed parliamentary collaboration between Vietnam and the EP and EU member countries, as well as the ties between the Association of Southeast Asian Nations (ASEAN) and the EU. 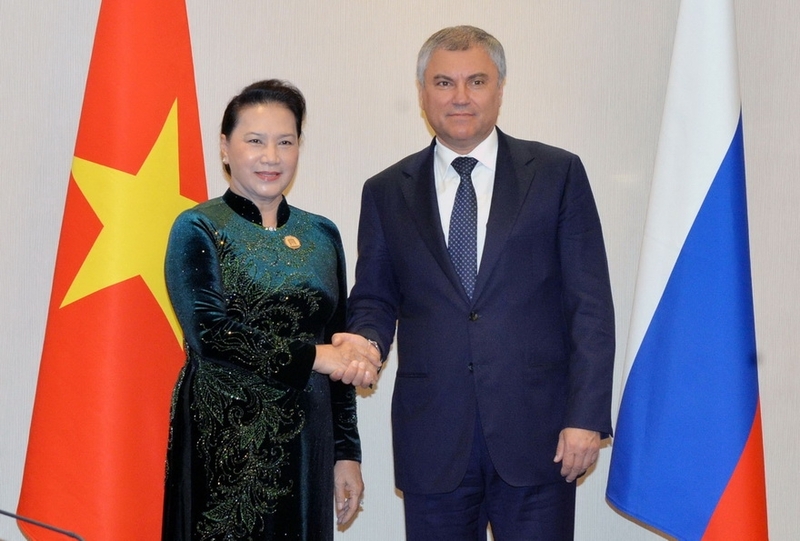 Bilateral, regional and international issues of common concern were also tabled. 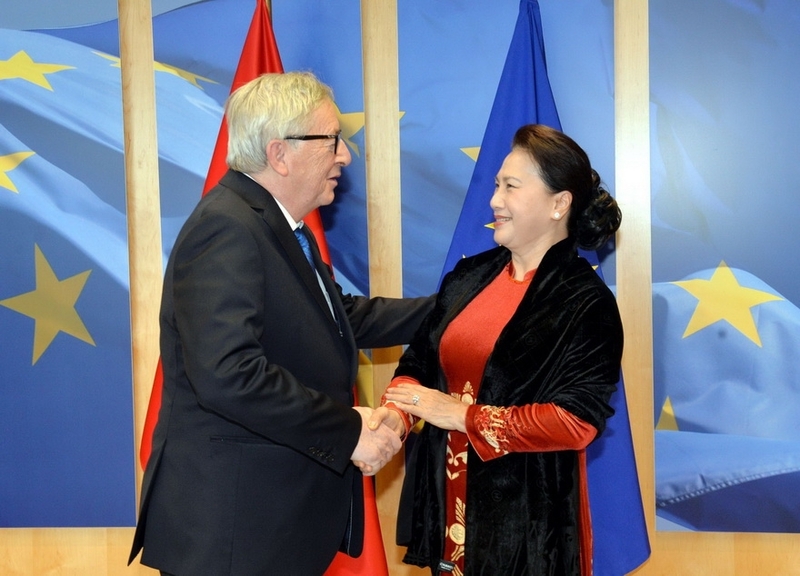 Vietnam and the EU established official diplomatic relations on November 28, 1990. 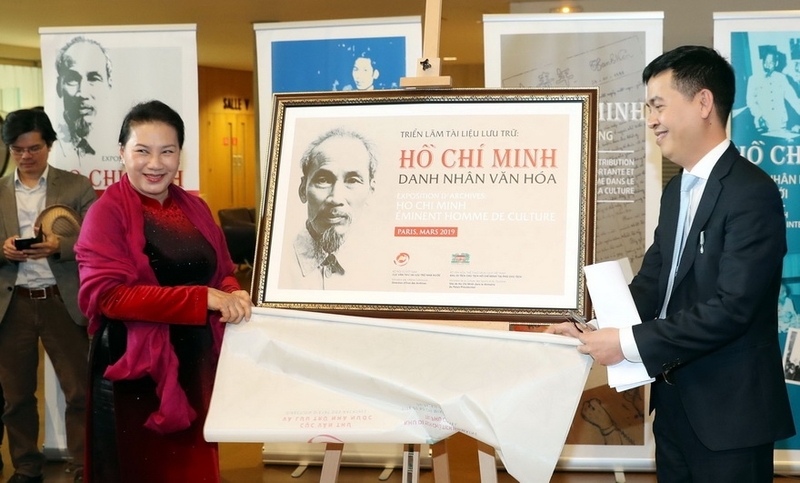 In 1996, the European Commission (EC) set up its representative mission in Hanoi. 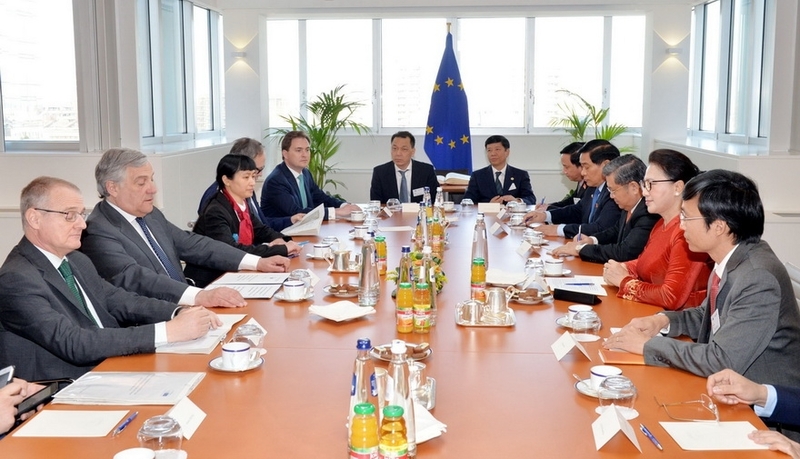 The talks between NA Chairwoman Ngan and President of the European Parliament Antonio Tajani. 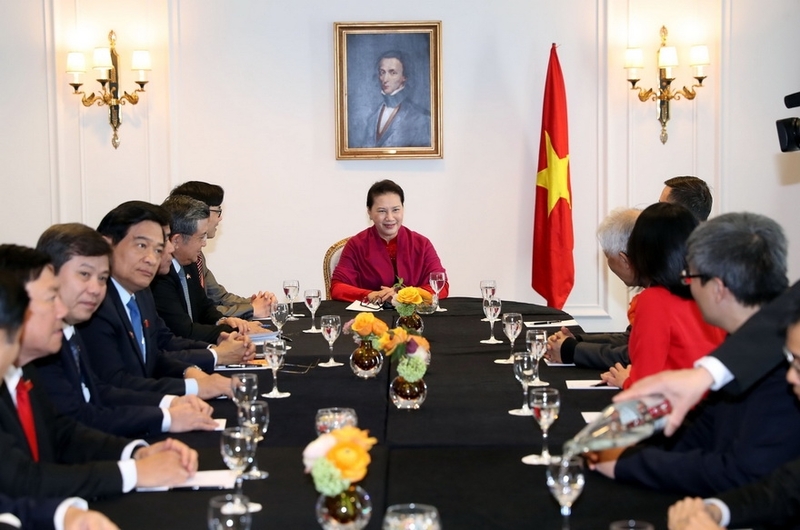 The two sides have maintained several cooperation mechanisms, including the annual political consultation at deputy foreign ministerial level; Vietnam-EU Joint Committee; and Vietnam-EU human rights dialogue. 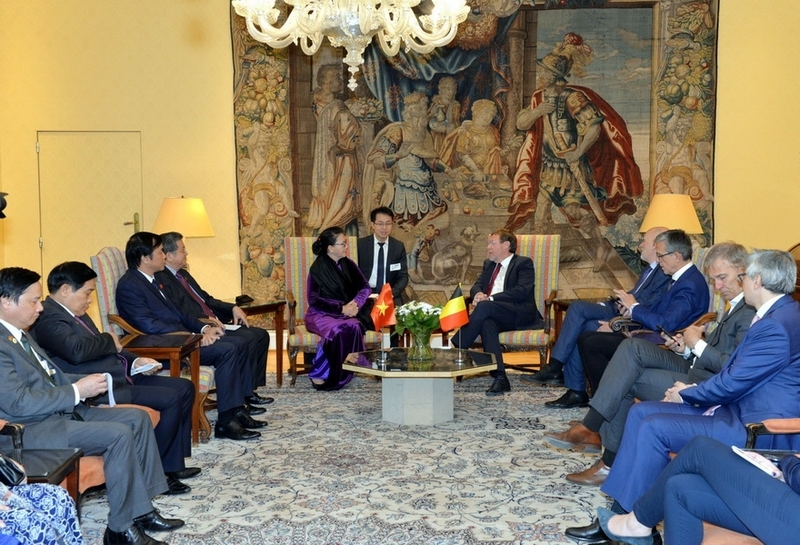 Vietnam and the EU have coordinated closely at multilateral forums and international organizations, especially within the framework of the ASEAN-EU cooperation mechanism, the ASEM and the UN, and in addressing global issues such as climate change, sustainable development, energy security, counter-terrorism and non-proliferation of weapons of mass destruction, and illegal migration. 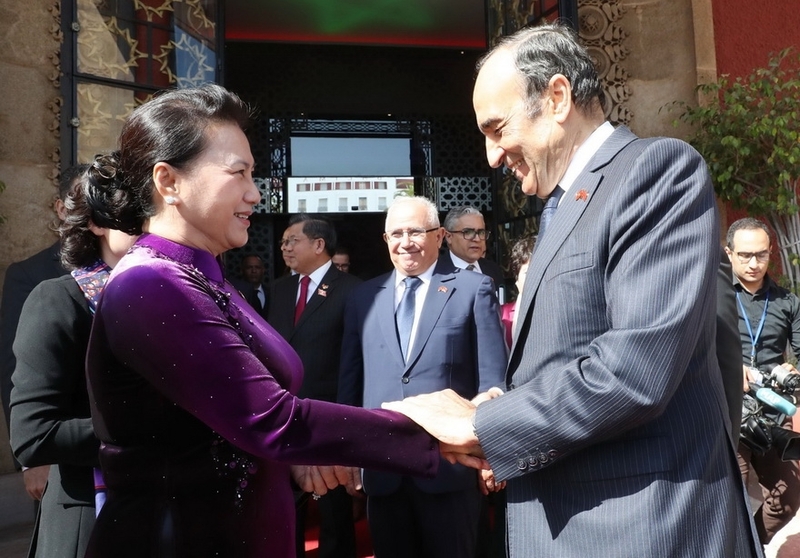 In 2017, EU was the third biggest trade partner of Vietnam after China and the US, and was the second biggest importer of products from the Southeast Asian nation. Germany, the UK, the Netherlands, Italy, France, Spain, Austria and Belgium are Vietnam’s largest export markets in the EU, with annual turnover exceeding 1 billion US dollars each. Vietnam’s main exports to the markets are textiles and garment, footwear, coffee, seafood, computers, and phone components. 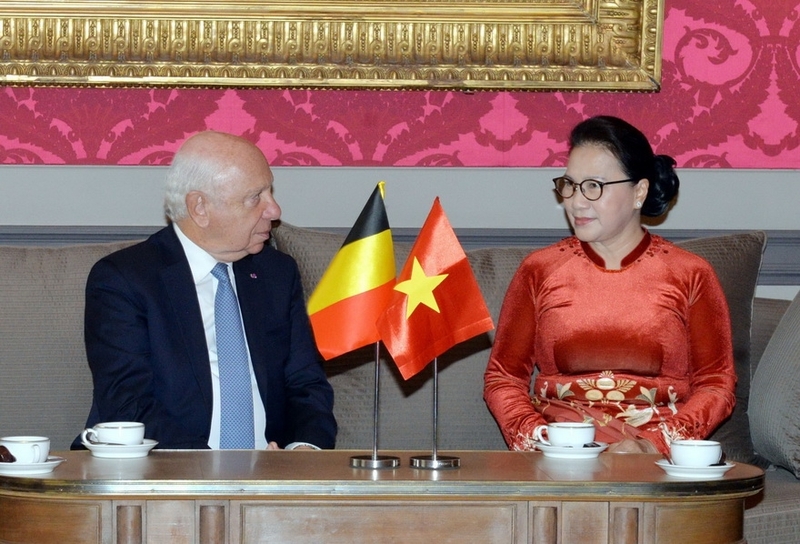 The two sides have completed their negotiations of the EU-Vietnam Free Trade Agreement (EVFTA). 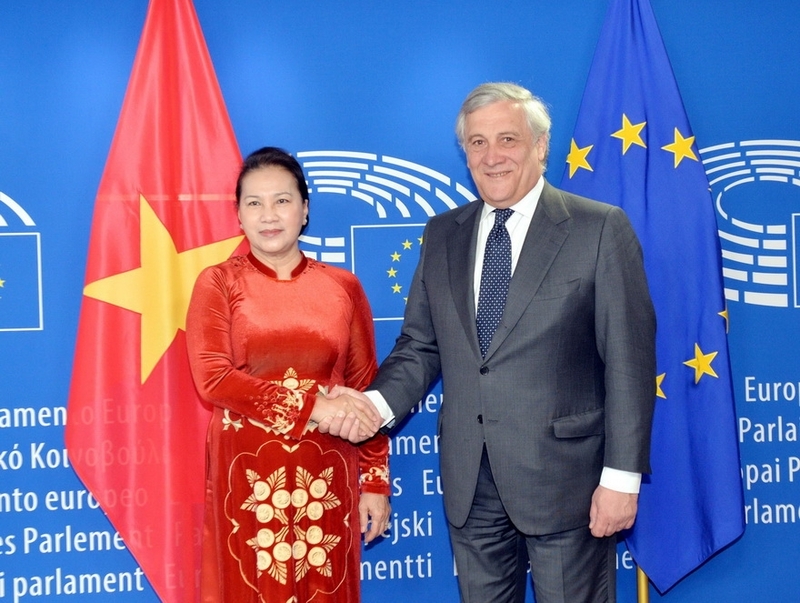 The relations between the Vietnamese NA and the EP have been growing robustly to become an important pillar in the Vietnam-EU ties. 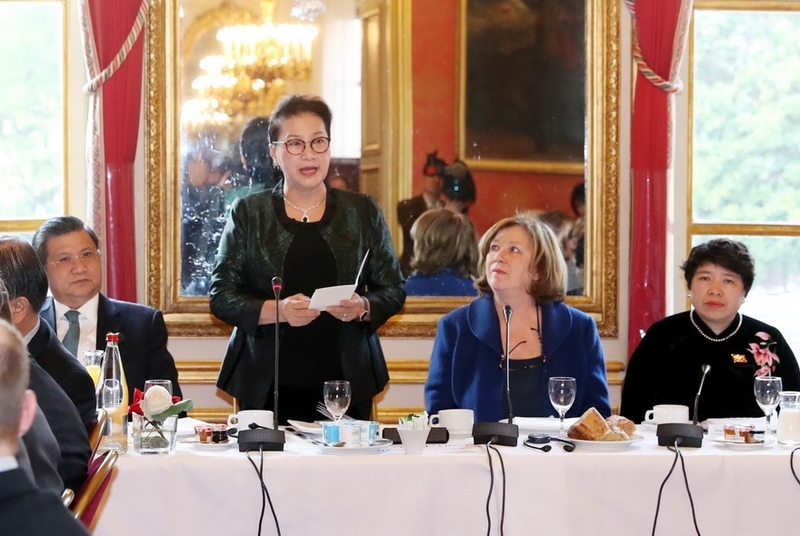 Regular delegation exchanges, dialogues, and meetings between parliamentarians at multilateral parliamentary forums have contributed significantly to the sides’ engagement. 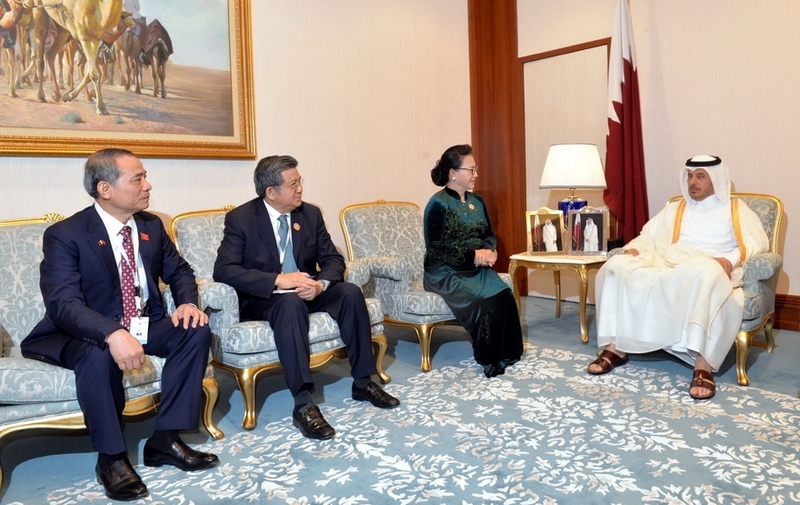 The two parliaments also established their bilateral friendship parliamentarians’ groups. 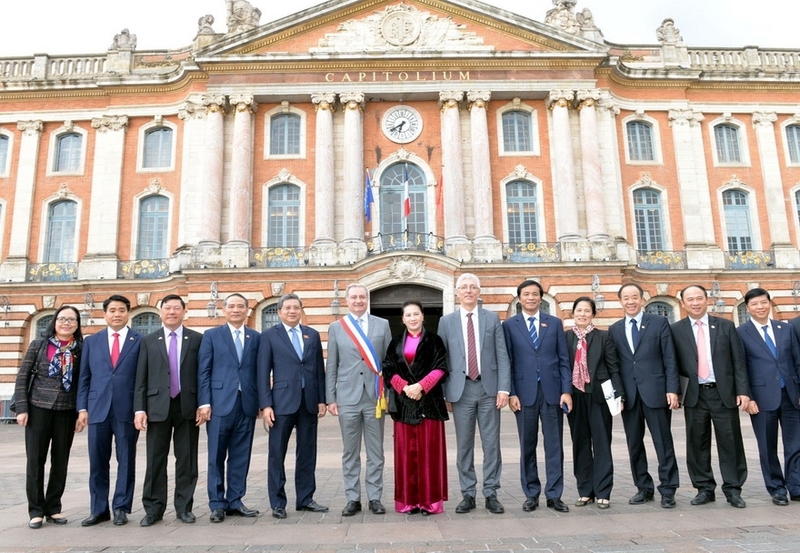 NA Chairwoman Nguyen Thi Kim Ngan’s visit to France, made at the invitation of President of the National Assembly of France Richard Ferrand aimed to accelerate the Vietnam-France strategic partnership and materialize the joint statement on parliamentary cooperation between the two countries. 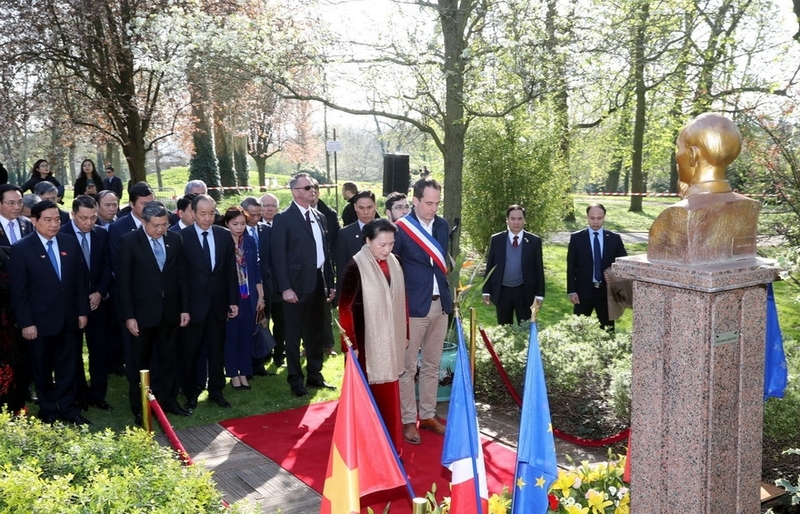 Vietnam and France set up diplomatic relations in April, 1973. 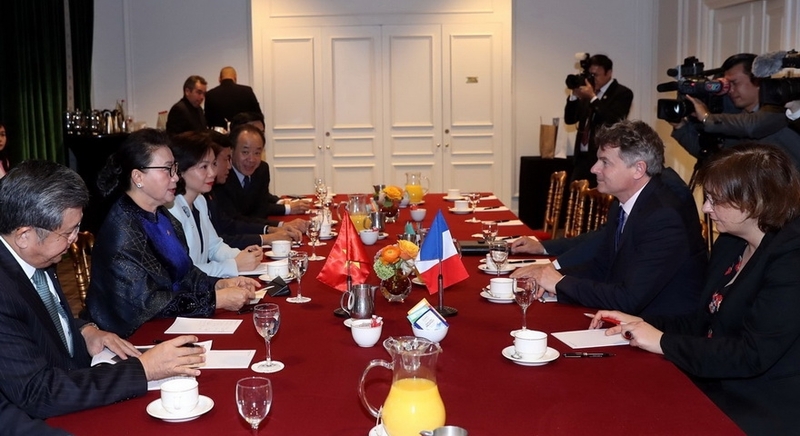 The sound political relations between the two countries have been marked by high-level visits, including French President Francois Hollande’s visit in 2016, and the 2018 visit of Party General Secretary Nguyen Phu Trong. 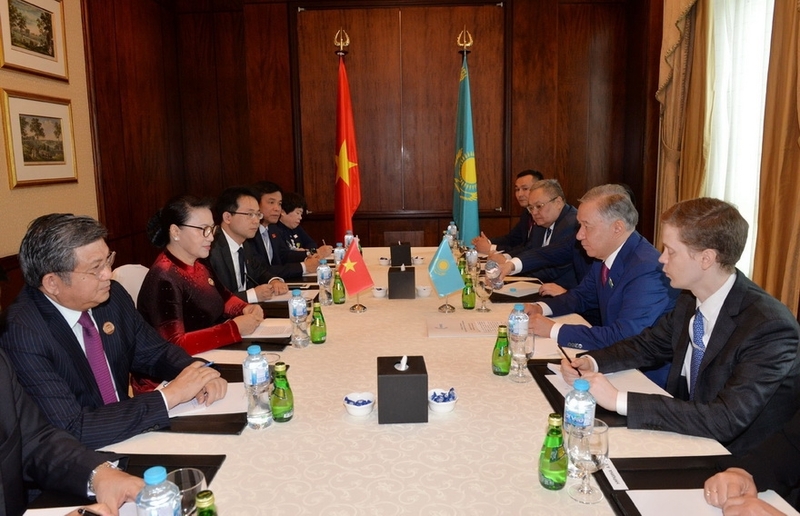 The two sides have maintained many cooperation mechanisms, including defense-security strategic dialogue and an annual high-level economic dialogue. 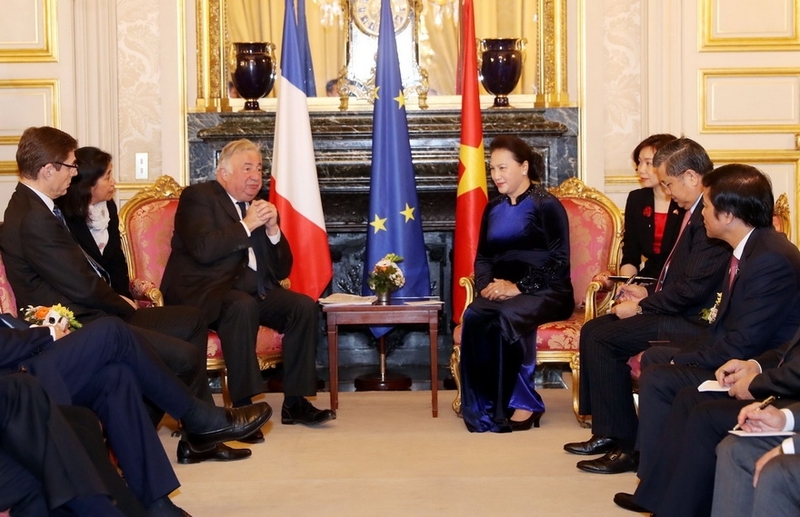 France is the fourth largest trade partner of Vietnam in Europe after Germany, the UK and the Netherlands. 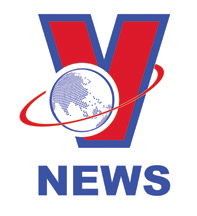 The country made a two-way trade value of 5.1 billion US dollars with Vietnam in 2018, ranking third among European countries. 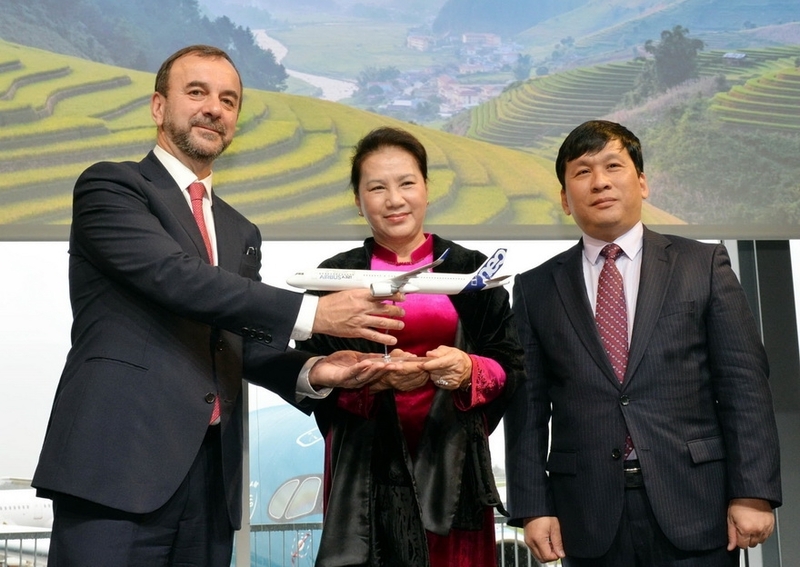 It is the 16th biggest investor of Vietnam with total investment of 2.8 billion US dollars, and the leading European ODA provider with total committed capital of 3 billion EUR. 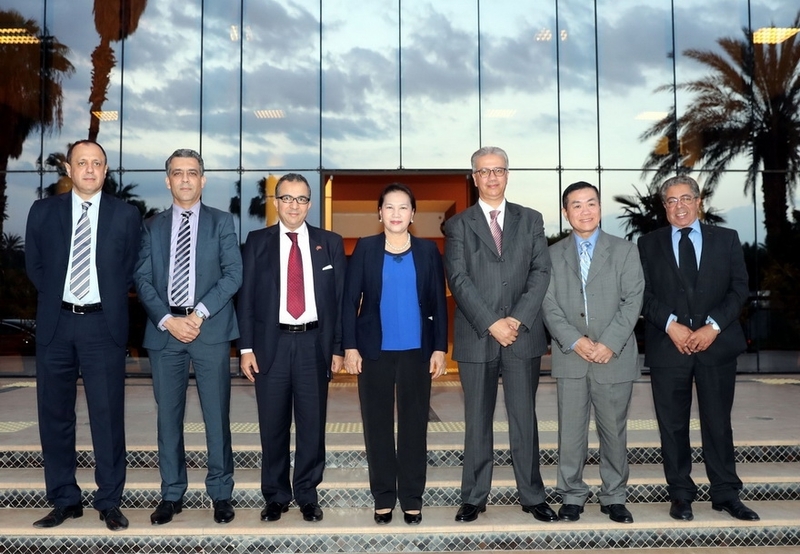 Chairwoman Ngan’s official trip to Morocco aimed to enhance the friendship and multifaceted cooperation between the countries, particularly in trade-investment, tourism, banking, energy, locality-to-locality cooperation, and trilateral cooperation among Vietnam, Morocco and another African nation, and foster parliamentary ties to implement the signed agreements. 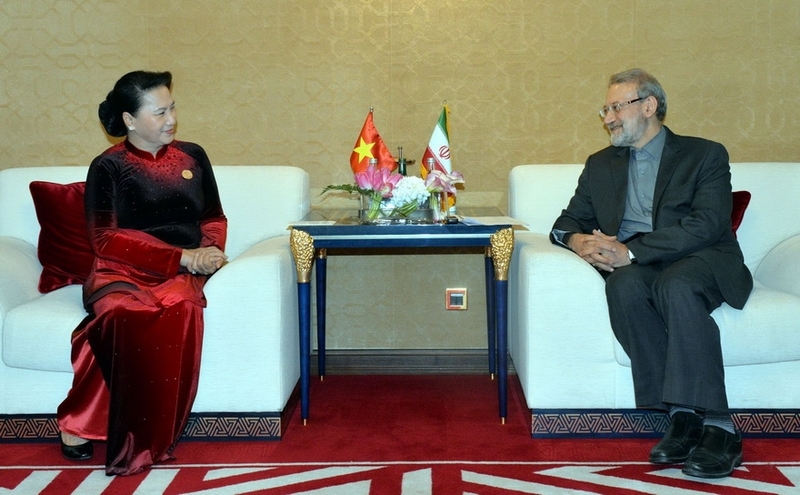 Vietnam and Morocco set up diplomatic ties on March 27, 1961. 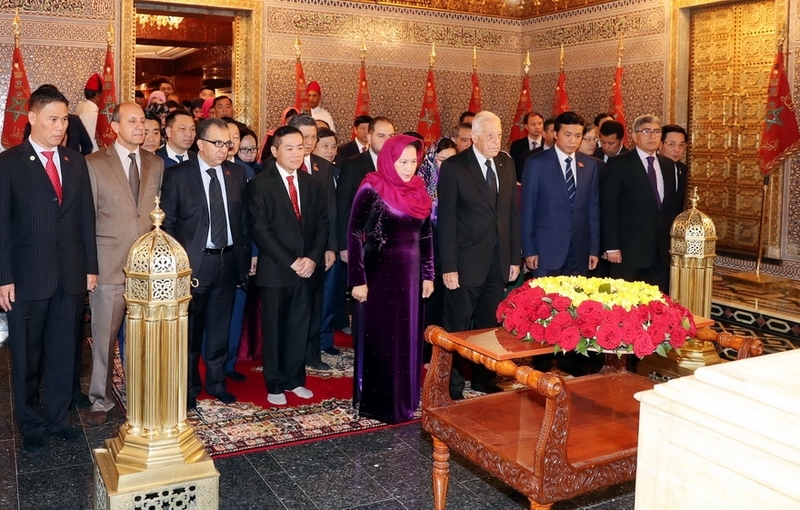 Despite geographical distance, their leaders and people have unceasingly made efforts to nurture relations between the two countries. 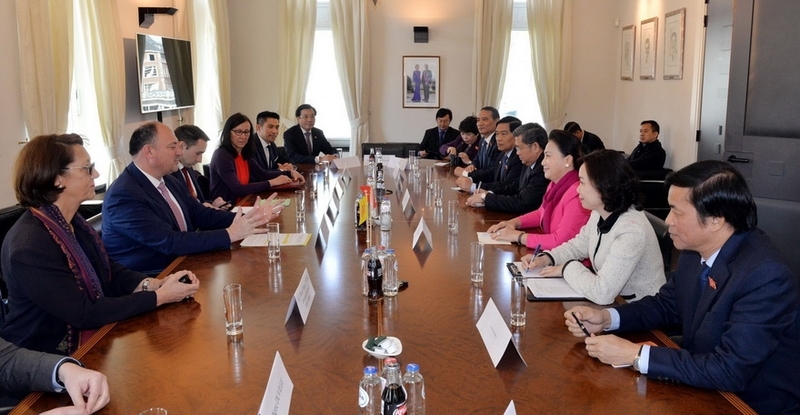 Their prime ministers and parliamentary leaders paid visits to each other’s countries while mutual visits at the ministerial level have been held regularly. 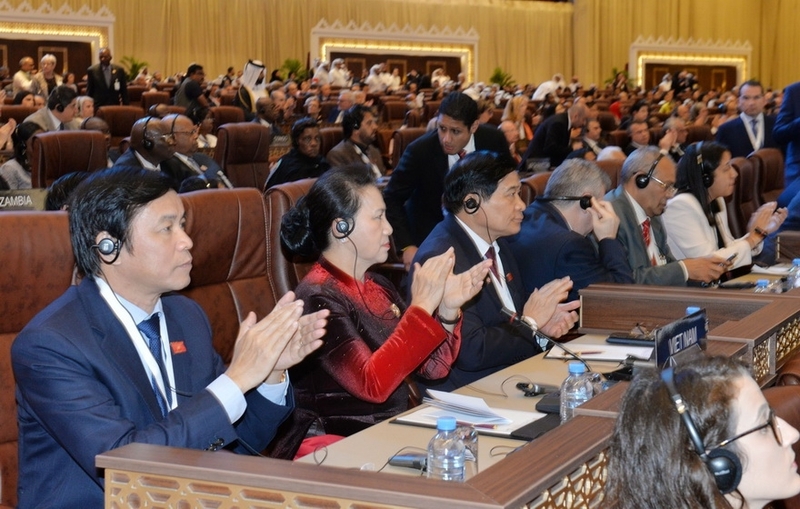 The two sides have also coordinated and supported each other at international forums. 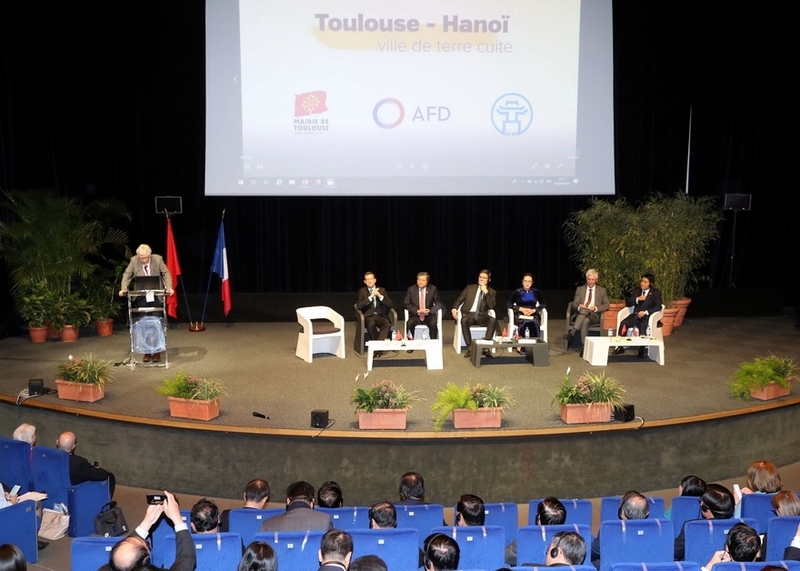 In December 2014, Morocco recognized that Vietnam has a full market economy. 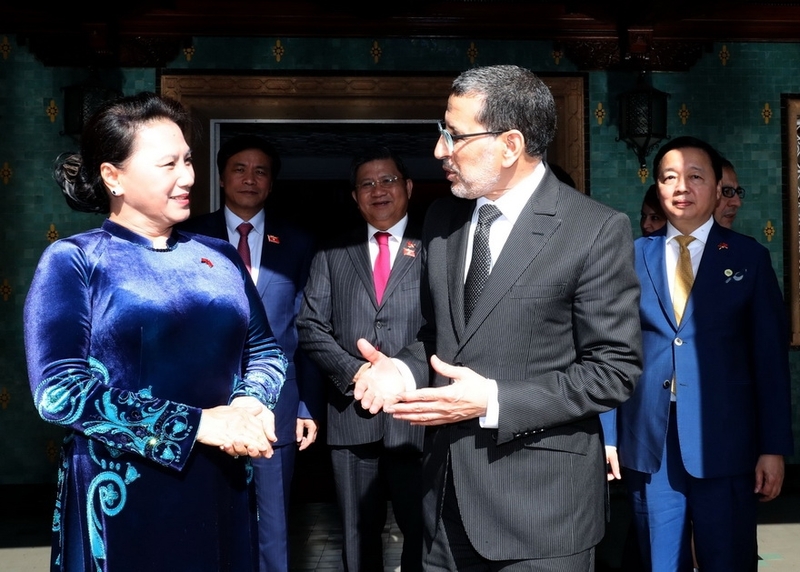 Bilateral trade reached 212.7 million US dollars in 2018.